Hippie Tendencies are hunkered down writing this winter as well as planning their spring/summer tour. They were inspired to write a song “Snow Day” celebrating their 10 year anniversary which takes place this month. 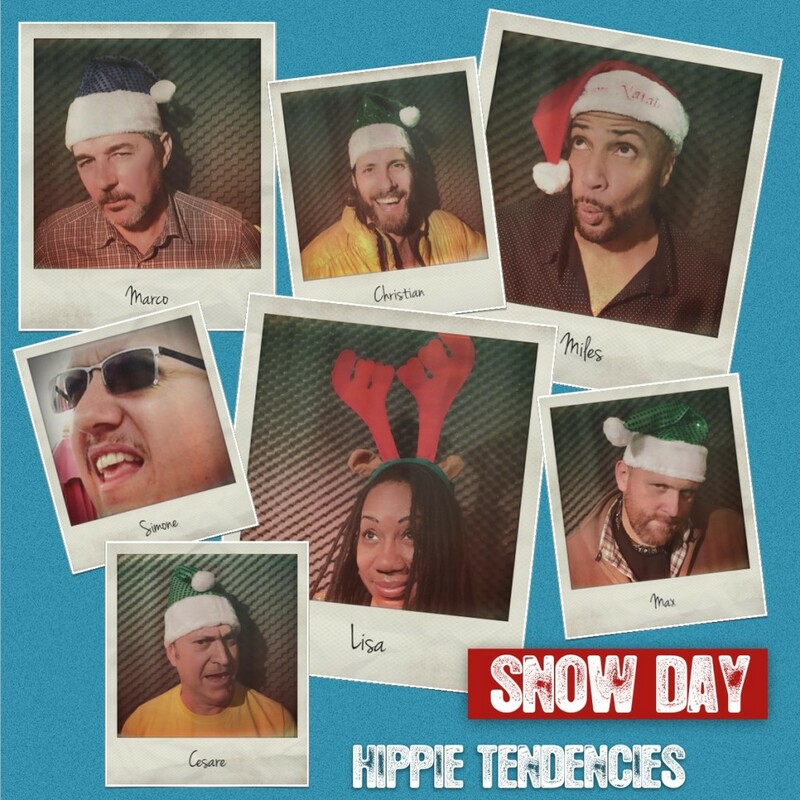 For your free copy go to https://hippietendencies.bandcamp.com/track/snow-day and check out the video on this site. In other news founding members Lisa and Marco are also giggin’ with the Downbeat Trio featuring Miles Simmons. Follow the link to check out their schedule!! Jazzy, heart warming, humorous holiday music with a beat! Get there. traditions that surround the holiday. House, President George and Laura Bush, and President Bill and Hillary Clinton. Jackson, and San Remo finalist Jenny B, as well as the renowned Cheryl Porter. Cheryl Porter, Enrico Sauda, and Loris Baroni, among many others. enduring song rather than a hit song”. natalizio, anche se non sono veri e propri canti natalizi. Day” e “Amazing Grace” ma anche altre meno scontate. tradizioni americane che circondano il periodo delle festività. in tour con The Downbeat Trio. presidente Bill e Hillary Clinton.